In collaboration with Lamar Outdoor Advertising, University of Toledo Department of Art students have been invited to display their work on digital billboards throughout the Toledo area. Many students submitted entries. The works chosen will be on display until the end of February 2016. Assistant professor of art, Barry Whittaker, who coordinated the project, says this is the fourth year UT art students have been invited to have their work displayed. To see the images in this year’s exhibition, visit the online photos album “UT Art Student Billboards 2016” on Facebook. The Toledo Museum of Art Great Performances in the Great Gallery series will include two performances – one featuring University of Toledo students and another featuring UT faculty and internationally-acclaimed baritone, Ryan De Ryke. 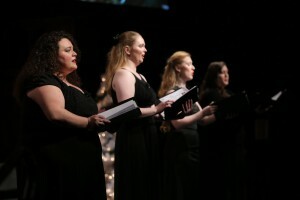 Sunday, February 14 at 3 p.m. voice and piano students from the UT Department of Music will perform a range of selections from operas and favorite vocal music. The following Sunday, February 21 at 3 p.m., UT professor of piano, Dr. Michael Boyd and De Ryke will perform a program of art song. Highlights from the program include Schumann’s “Dichterliebe” and a cycle of songs by The Smiths arranged by Ryan. Admission to both concerts is free and open to the public. 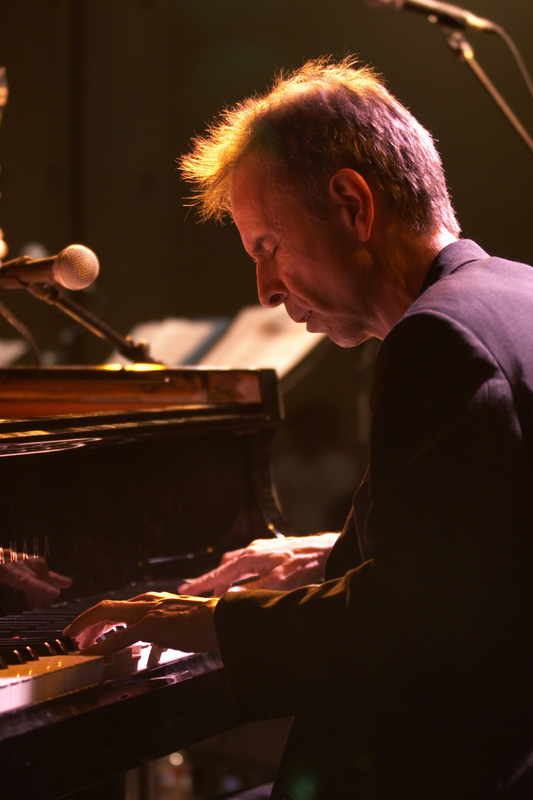 Current professor of piano at UT – Dr. Boyd received his undergraduate degree from the Wisconsin Conservatory of Music, and his master’s and doctoral degrees from Eastman School of Music. 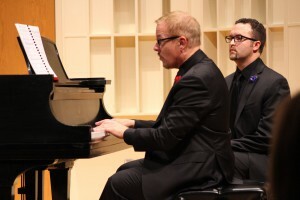 Over the years he has given many solo recitals across the country and internationally. 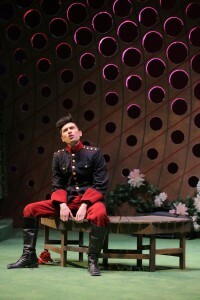 Baritone Ryan De Ryke has studied at the Peabody Conservatory, the RAM, and the National Conservatory of Luxemburg. Aside from his recital career De Ryke is also a regularly traveling soloist in various oratorios. He has worked numerous operatic roles, and has had the opportunity to work with a variety of different groups such as the Haymarket Opera, El Paso Symphony Orchestra, and the Chamber of Chicago. 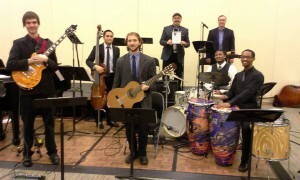 Art Tatum Jazz Scholarship Event! 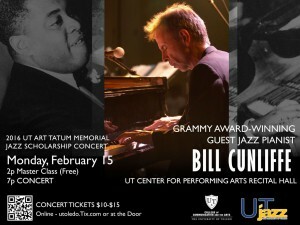 Join us for the Art Tatum Scholarship Event! 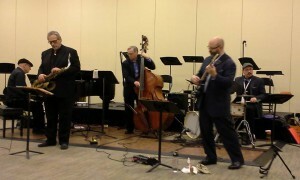 The concert is presented by The University of Toledo Department of Music Jazz Studies Program. 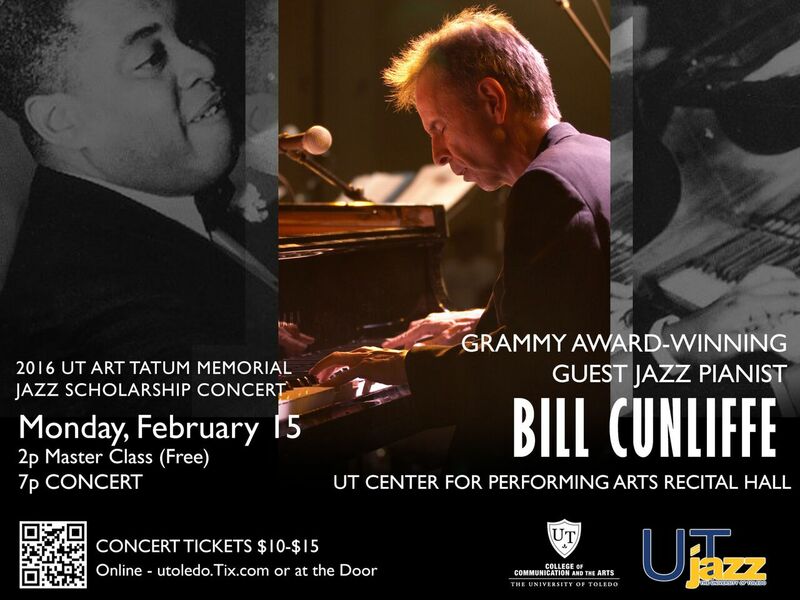 Proceeds from ticket sales support the Art Tatum Memorial Jazz Scholarship, which benefits minority students who want to study Jazz at UT. 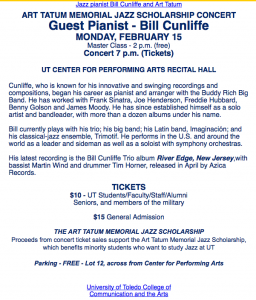 Meet our special guest, Grammy Award-winning Jazz pianist, composer and arranger, Bill Cunliffe! 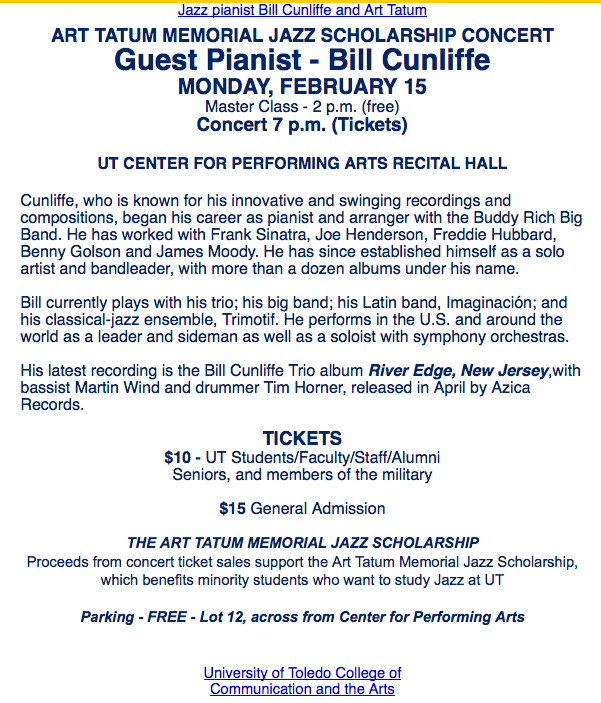 Bill is our guest artist for the 2016 Art Tatum Memorial Jazz Scholarship Concert, Monday, February 15 at 7 p.m. in the UT Center for Performing Arts Recital Hall. Cunliffe, who is known for his innovative and swinging recordings and compositions, began his career as pianist and arranger with the Buddy Rich Big Band. 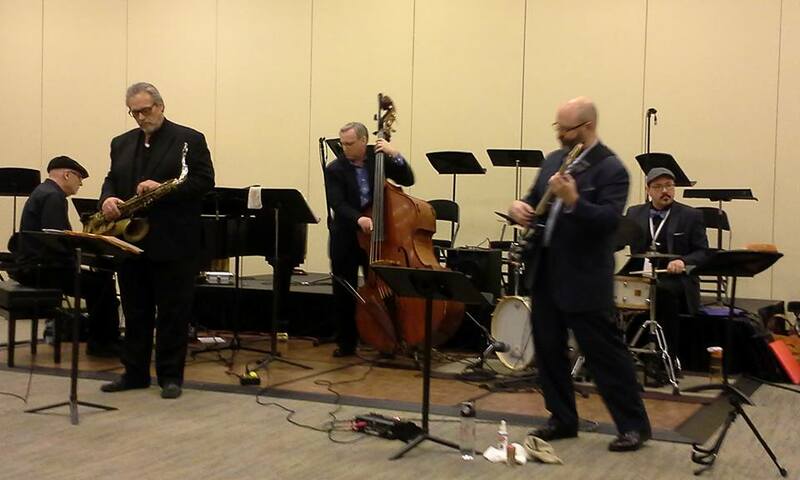 He has worked with Frank Sinatra, Joe Henderson, Freddie Hubbard, Benny Golson and James Moody, to name a few. He has since established himself as a solo artist and bandleader, with more than a dozen albums under his name. His latest recording is the Bill Cunliffe Trio album “River Edge, New Jersey,” with bassist Martin Wind and drummer Tim Horner, released in April by Azica Records. 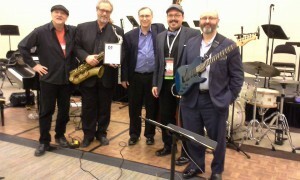 Thank you for representing UT wonderfully at OMEA!